For two decades, PacificHealth Laboratories has had a singular mission: develop innovative nutrition products based on cutting-edge research and top notch, all natural ingredients. To achieve this goal, PacificHealth collaborates with many of the world’s top nutritionists, biochemists and sports scientists. We are proud that this collaboration with the scientific community has resulted in discoveries that have reshaped our understanding of sports nutrition. We also feel that part of our mission is to provide serious athletes the latest information on how to improve exercise performance. This is part of PacificHealth Laboratories continuing commitment to help triathletes, endurance athletes, coaches, and trainers safely raise the level of athletic performance. 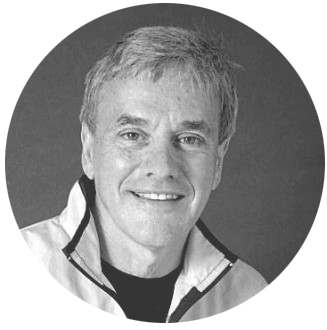 Dr Robert Portman is a well-known sports scientist in the United States whose research has focused on the impact of nutrition on athletic performance and muscle recovery. He has been a pioneer in the development of nutritional formulations that combine carbohydrate and protein and is responsible for creating and developing the first sports drink specifically engineered to facilitate muscle recovery following exercise. Dr. Portman has co-authored three books with Dr. John Ivy. Their first book, Nutrient Timing, has been called, “the next important nutrition concept in the 21st Century”. Nutrient Timing dramatically changed the role nutrition plays in performance and its principles have been universally incorporated in the training regimen of athletes at all levels. The second book, The Performance Zone, creates a nutrition action plan so that every athlete can utilize nutrition to enhance endurance and raise athletic performance. The latest book, Hardwired for Fitness, uses the latest science to demolish myths that serve as a barrier to getting fit. Hardwired for Fitness shows how, by resynchronizing your body’s natural biologic rhythms, you unleash a powerful arsenal of metabolic weapons to help you get and stay in shape.